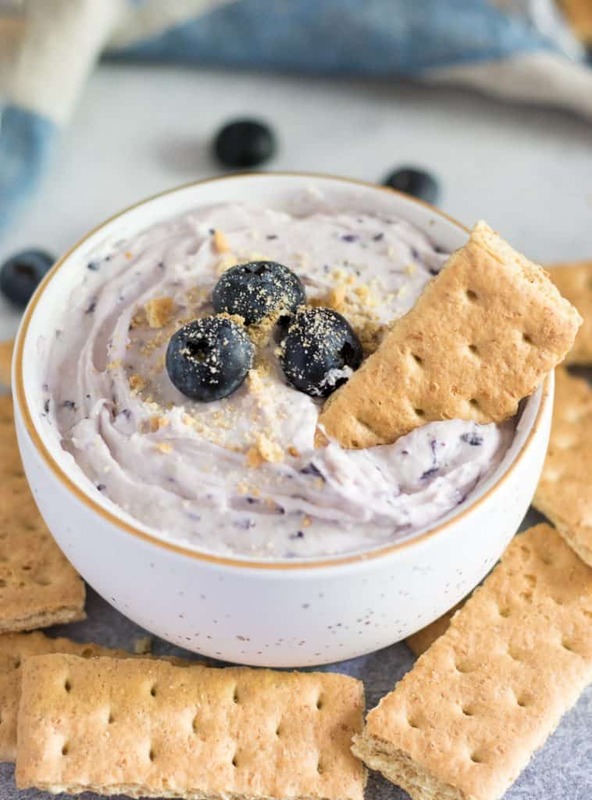 This simple 5 Minute Blueberry Cheesecake Dip is light and fluffy and whips up in no time–but it may not last that long either! Oh hey! Happy Thursday! I am just dropping in with not a whole lot to say (surprised? Me, too.) but still wanted to bring you something quick and fresh to try in the kitchen this week. If you are thinking, hey, you dropped the first two parts of the adoption story so where’s the rest? I promise it’s coming! 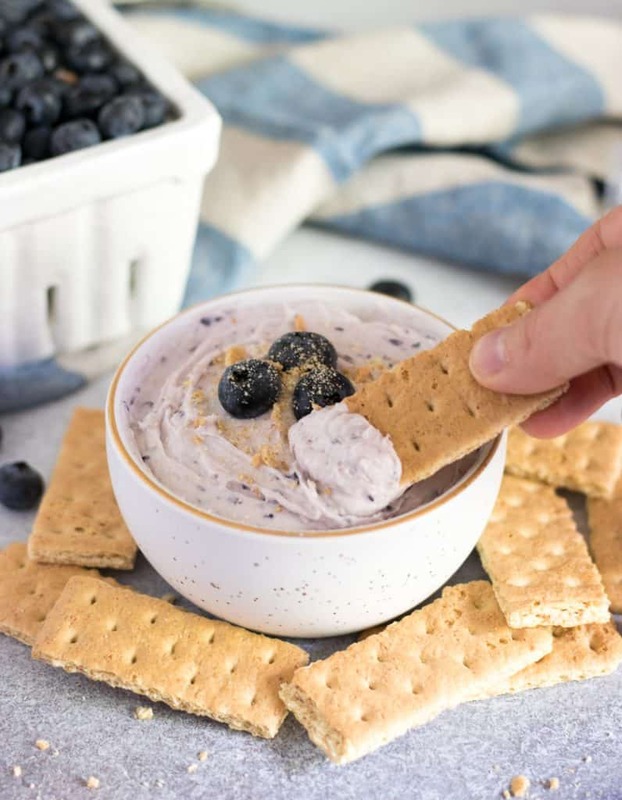 It’s taking a bit more time than anticipated so that’s why I am just going to bring you the recipe to this cheesecake dip and go work on that so I can at least get you the rest in the next couple weeks! Hoping you had a great holiday weekend and while it seems we are all well rested, this week still seems to be exhausting. Sometimes we feel like a short week is gonna fly and then it does the opposite. But it’s okay cause you will need minimal effort to make this sweet, fluffy cheesecake dip. It will be ready for strawberries, graham crackers, bagels, anything in a few minutes and then you can relax. So I made a big error when I made this the first time. Like an amateur mistake but at least I learned. I put it in the blender–DON’T DO IT, and don’t ask what I was thinking. You will get cheesecake soup. Stick with a mixer, you will thank me later because I already made the mistake for you. Something to note–there are a lot of dairy free cream cheeses out there these days so if you need a dairy free version, I know they are out there! 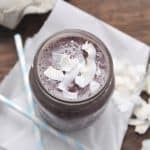 So grab some blueberries, powdered sugar, cream cheese and lemon juice and you are already halfway there! And then get ready to DIP! Using a hand mixer or standing mixer, mix powdered sugar and cream cheese until whipped and fluffy. Add in blueberries, lemon juice and vanilla and beat until blended. (If tossing blueberries in whole, the dip will be chunkier). Chill until ready to eat or dive in immediately! How do I get a bowl of this right now? This would last a hot second in my house with me and my girls! Oh girl, it was gone here before I had a chance to sit down! 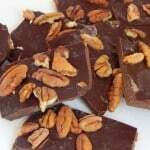 What a fun and easy dessert! Do you think it would work just as well with other fruit like peaches or raspberries? Yes for sure! I’m sure you could do any fruit really. Is it ok to eat this for breakfast? 🙂 Gosh this sounds good – and I’m already imaging more fruit options. Thanks so much! Yes! Plenty of flavor options! I’m drooling over! 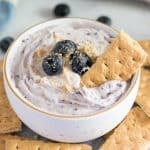 I’ve recently became a cheesecake lover and would love to make this dip for our next get together. What a cool and yummy idea! I went through a dry spell with cheesecake and just started loving it again! This is so simple, yet so mouth watering. Blueberries are on my list for fruit this week. I may need to add another pint! This reminds me of a dessert my mom makes, but this one is much easier! YYUUUMM!! I was just making plans with friends to go to a blueberry farm and this would be perfect for afterwards!! Use the mixer, got it 😉 Looks super yummy! Yummy!! This is such a great idea for parties! !